I spent my summer at home and took advantage of the good weather by getting outdoors as much as I could. It was really nice spending the summer in my hometown and getting outside. 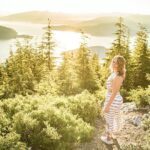 I thought I would share 10 Vancouver area hikes that I did this summer. They range in difficulty, but most should be able to be completed by anyone. 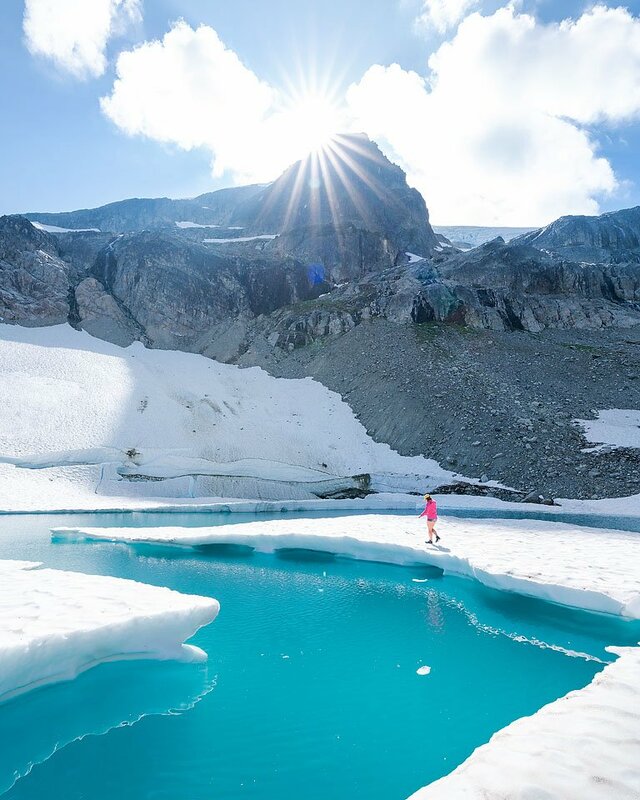 Iceberg Lake is located on Rainbow Mountain in Whistler, BC. 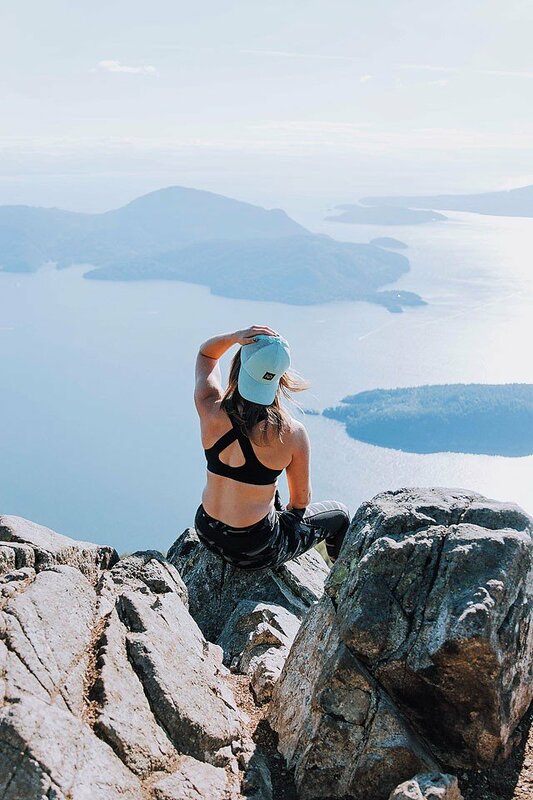 This Vancouver area hike will take you into the mountain, while following the picturesque trail through the forest. 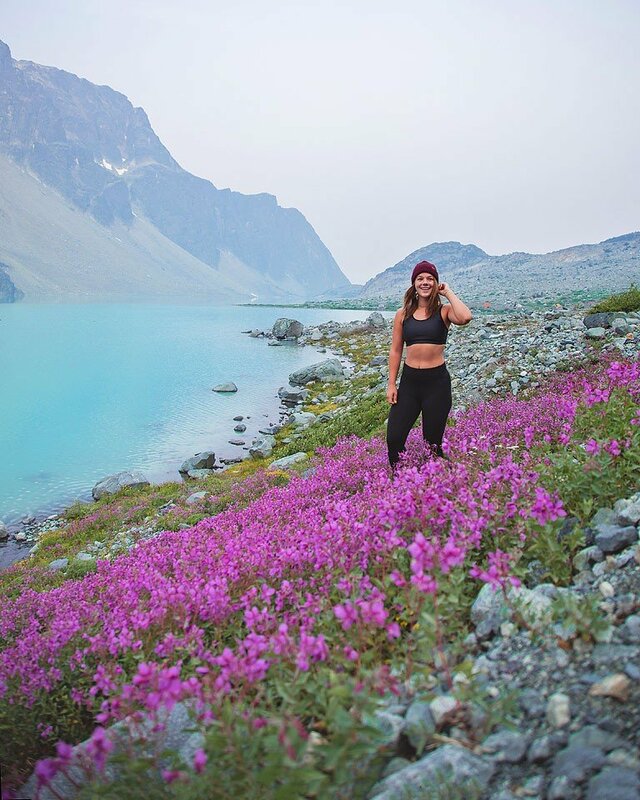 The trail’s most popular attraction is definitely Iceberg Lake with its surrounding meadows covered in flowers from July to September. I did this hike in early August and it was still really cold at the top. However, the trail is very well maintained and very easy to follow. It took us just under three hours to complete the hike and climb to the top. In terms of difficulty, I would rate this hike as an average one. I didn’t think it was that hard, but then, I was hiking with a group of people (which definitely contributed to the enjoyableness of this hiking experience). The elevation gain is 870 meters and it will take you 15 km in total to get there in the back. Pack snacks my friends! St Mark’s Summit is located on the Howe Sound Crest Trail in Cypress Provincial Park, BC. 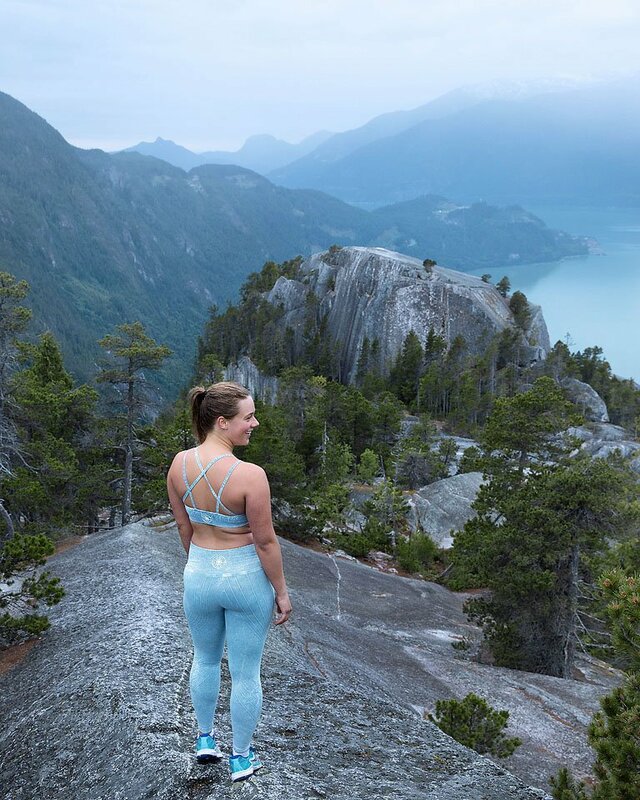 The trail offers impressive views of Howe Sound. This is one of the classic hikes right outside of Vancouver in Lions Bay. The hike isn’t too demanding as there are only 460 meters of elevation gain. I actually thought it was pretty easy when I did it. It is a total of 11 km to get there and back. I was enjoying the hike so much that I wasn’t really checking time. This Vancouver area hike was definitely the one of the hardest I did this year, but also the one that I have the best memories from. It is one of the most difficult hikes because of its steep elevation gain the whole time. I’m going, to be honest with you, there is barely any flat areas on the trail! The elevation gain is 1160 meters and it takes the total of 12 km to get there and back. It took us 3 hours to get to the top and about 2 hours to get down the next day. We spent the night up there – this was my first over-night hiking trip ever! So, yeah…I will definitely always remember it. And our hiking destination was simply breathtaking. I just adore Wedgemount Lake, it’s such a stunning place! We went on August 12, when the meadows are burning with wildflowers, offering an extraordinary photo setting. The Tunnel Bluffs hike is a sort of mainstream hike in Vancouver. North of Lions Bay, this scenic trail is very popular among hikers. With the elevation gain 650 meters and the total distance of 8 km, this hike is a pretty easy one. 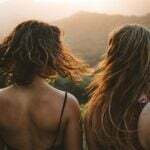 However, the trail is very steep, but you just get used to it and simply enjoy the view – the trail has many beautiful viewpoints. 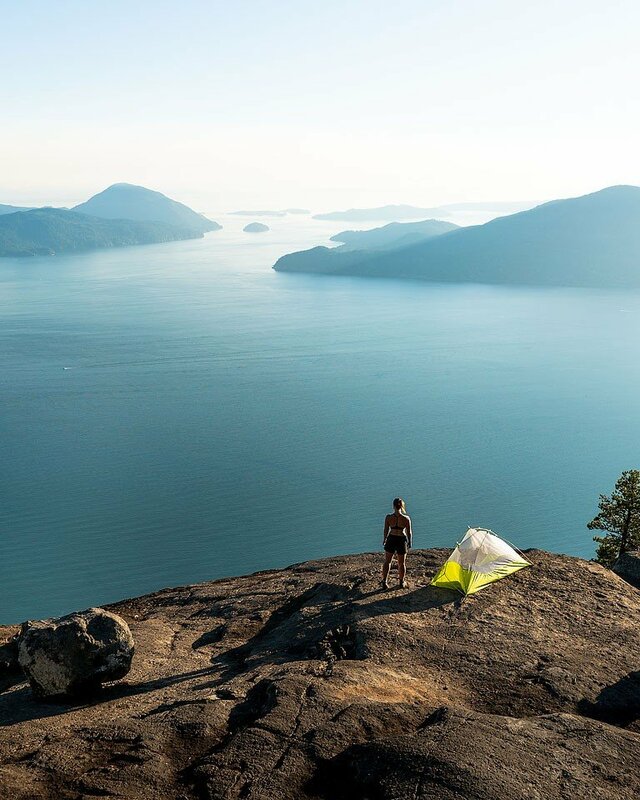 Every time you take a break, you can enjoy the view of Howe Sound and its numerous islands. 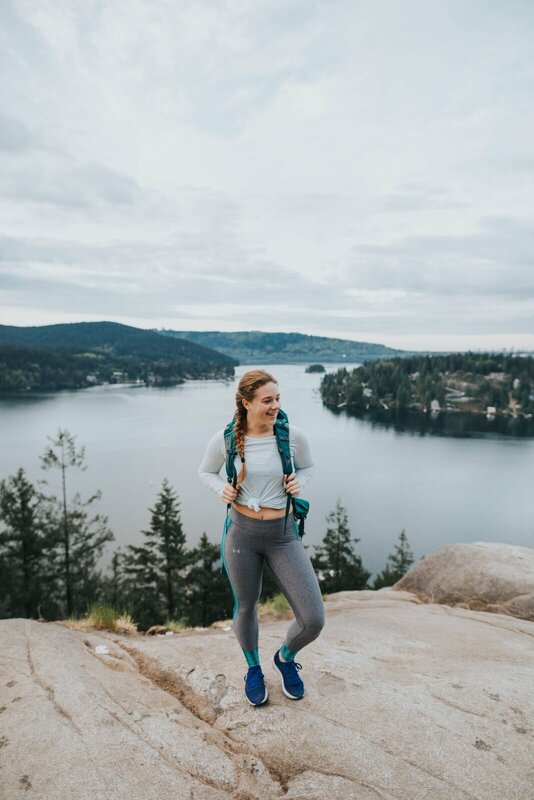 The best time of the day to hike Tunnel Bluffs is in the morning – there is less traffic than on other nearby trails and the view from the top is breathtaking. It took me two hours to climb to the top and one hour to get down and I absolutely loved it. I went on this hike a few times this summer. Watersprite Lake hiking trail is located near Squamish. The elevation gain is 660 meters, so, at first, I thought it was an easy hike. However, it is long, with the total travel distance 17 km. It took us about three hours to get to the top and additional two hours to climb down. We did this hike in mid-July and there was still a lot of snow at the top. The view was breathtaking. 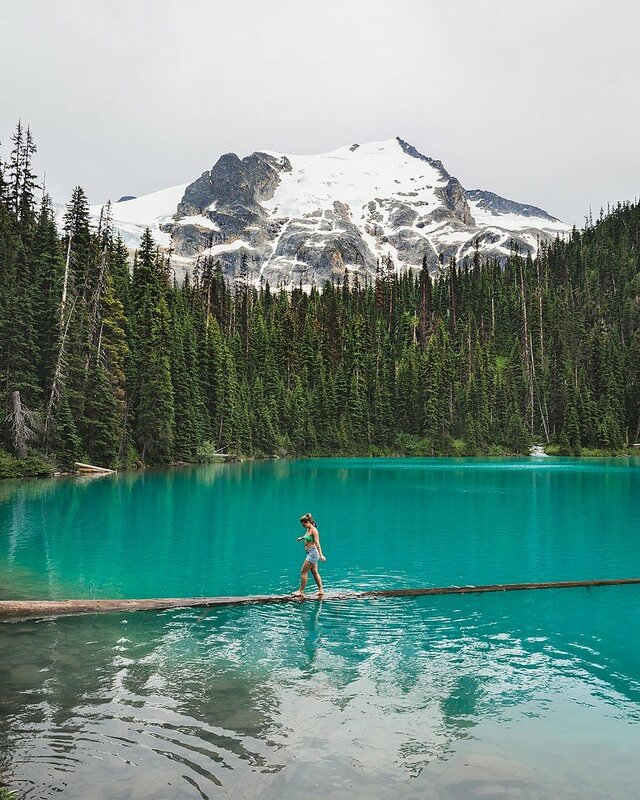 The turquoise waters of Watersprite Lake and the mountain peaks in the background are a perfect setting for your Instagram snapshots. 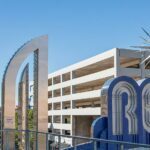 You’ll love it….seriously….look at that view! 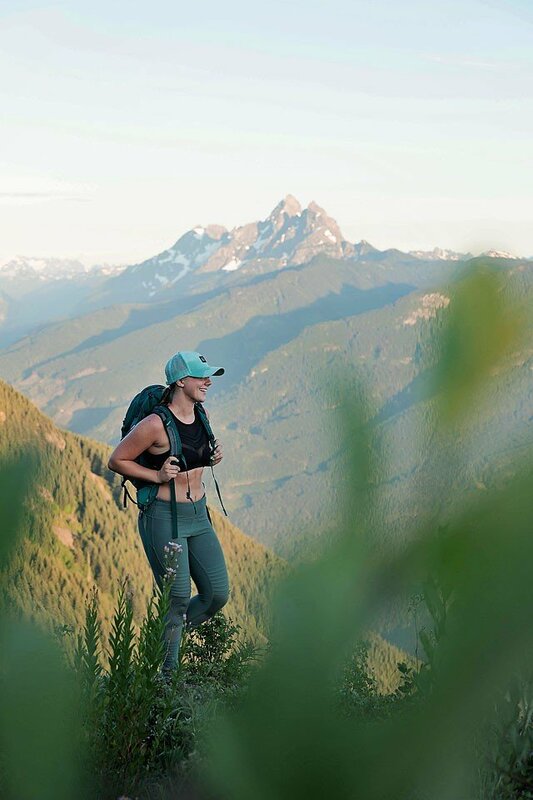 You won’t get tired on this Chilliwack area trail. This trail is pretty easy, with the elevation gain 200 meters and the total distance of 3.5 km. It is not a long trail but it is still beautiful. 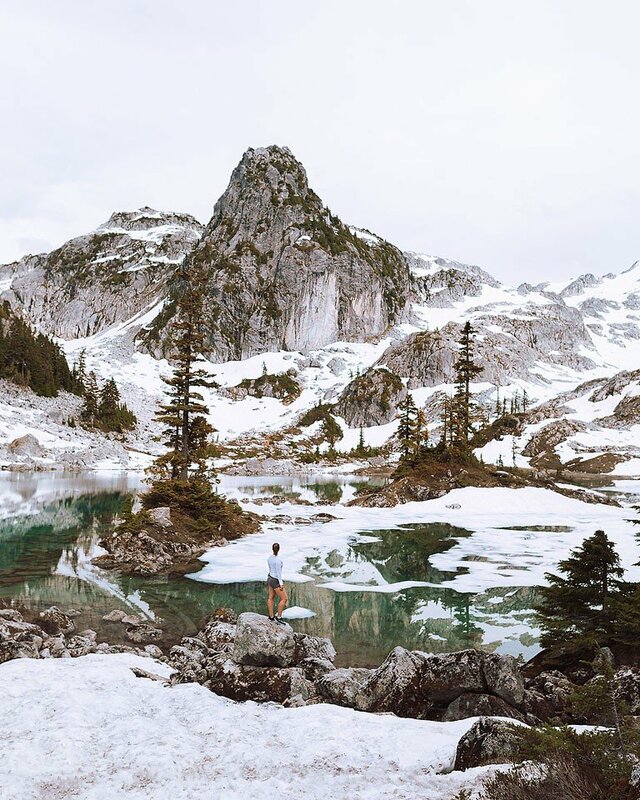 At the end of your hike, you’ll get to a pretty amazing lake at the top. The trail is mostly straight up, so it is a nice hike for a beginner. 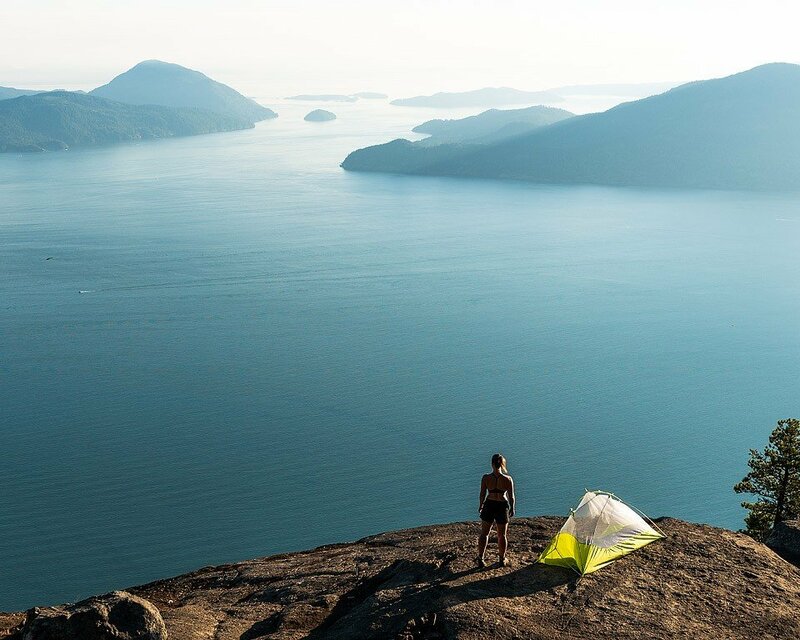 Known as the Chief among locals, this huge cliff is home to one of the most popular hikes in the Sea to Sky Corridor. 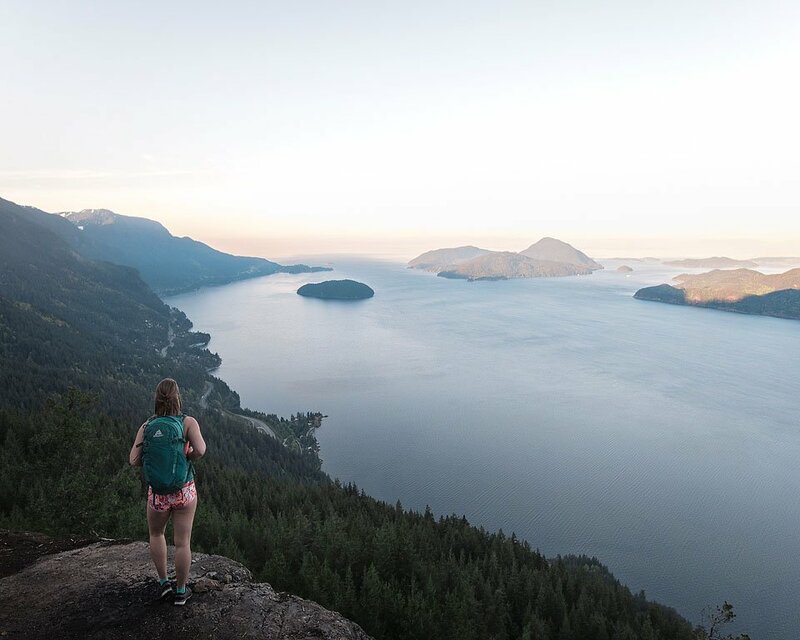 It towers more than 700 meters above the Howe Sound and offers a spectacular view of its waters below. The trail is a challenging hike, as it goes straight up from the start to the top. Honestly, I thought this hike was fair. I would describe it as the stair master that never ends lol! I did this hike on a somewhat cloudy day, so I wasn’t busy at all. The elevation gain is 600 meters and the total distance is 11 km. Elk Mountain in Chilliwack is a really fun hike. I went with two friends and got up to the top in an hour and 30 minutes. We climbed up just in time for sunset and the view was just breathtaking. You can see Chilliwack, Cultus Lake, and the surrounding Fraser Valley area from the top. The elevation gain is 700 meters and the total trail distance is 8 km. Joffre Lakes hike trail is located near Pemberton, in Joffre Lakes Provincial Park, BC. 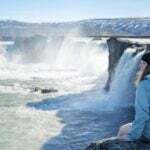 Because of stunning views that it offers along the trail, it is a very popular hike destination. 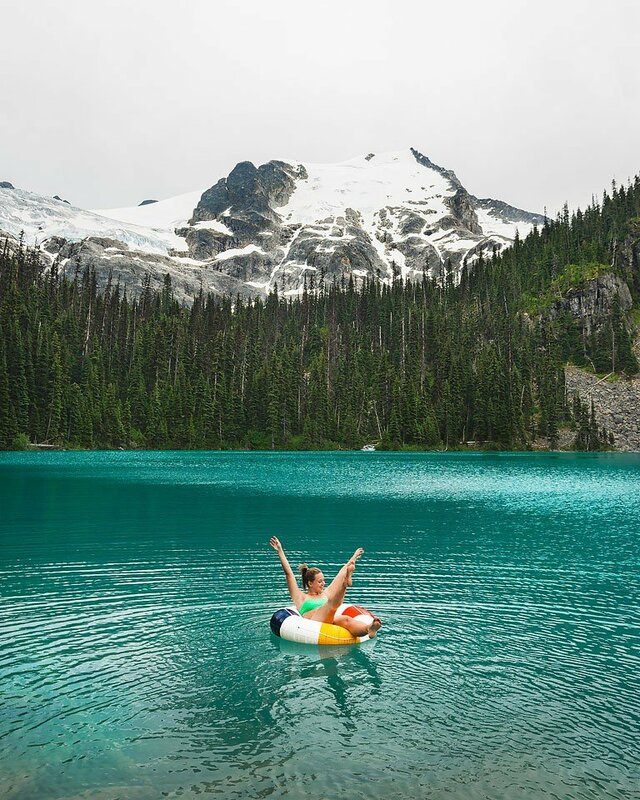 Joffre Lakes comprises three stunning, turquoise glacier-fed lakes. 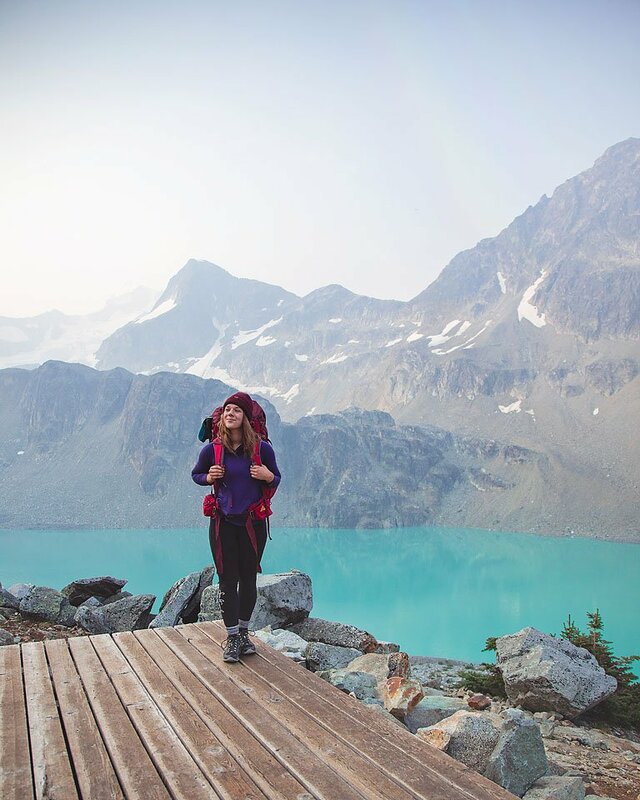 The lakes are called Lower, Middle, and Upper Joffre Lakes. We only visited the second lake, which isn’t the whole elevation gain or the full trail distance, and I didn’t really keep the track of how long it took us to get there. It is not a very demanding hike, but with a steady uphill climb, this trail still offers a challenge. The elevation is 370 meters and the distance is 10 km. 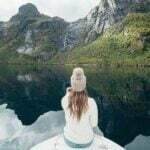 Once you reach those beautiful lakes, you’ll be astounded by the surreal blue color of their waters and the mountaintops still covered in snow. A truly amazing scenery. 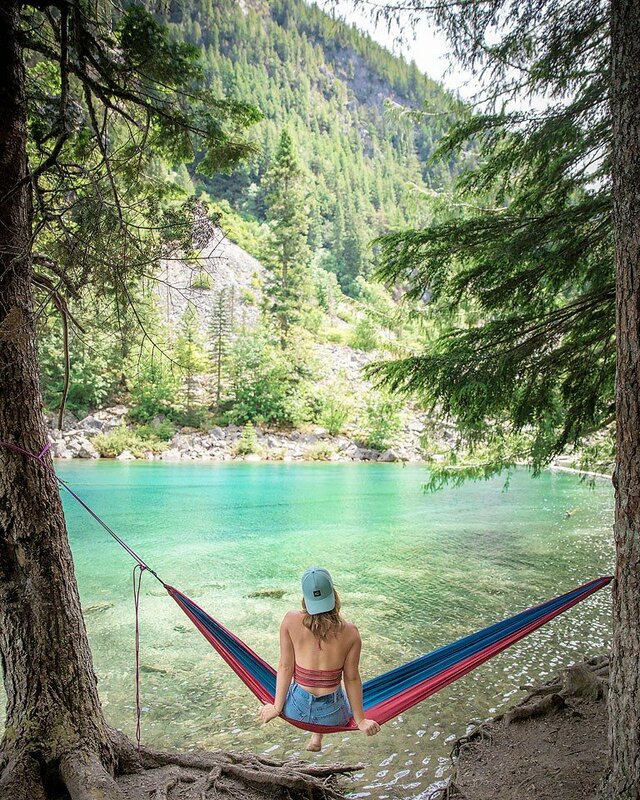 The water is ICY cold, but bring a bathing suit for a quick dip before the hike down.